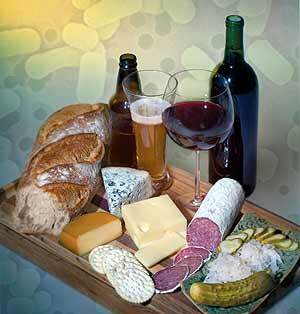 "Many of your favorite foods and drinks are probably fermented. For instance: Bread, Cheese, Wine, Beer, Mead, Cider, Chocolate, Coffee, Tea, Pickles, Sauerkraut, Kimchi, Salami, Miso, Tempeh, Soy Sauce, Vinegar, Yogurt, Kefir, Kombucha." The Body Ecology Diet reveals how to restore and maintain the "inner ecology" your body needs to function properly, and eliminate or control the symptoms that rob you of the joy of living. 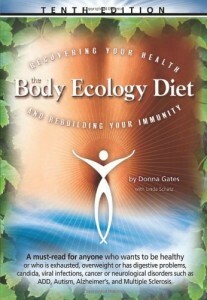 Tens of thousands of people have already benefited from the Body Ecology way of life-Donna Gates shows you, step-by-step, how to eat your way to better health and well-being . . . deliciously, easily, and inexpensively! In this book, you will learn how to: use seven basic universal principles as tools to gain mastery over every health challenge you may encounter; focus on your inner ecology to create ideal digestive balance; conquer cravings with strategies for satisfying snacking and for dining away from home; and plan meals with dozens of delectable recipes, an array of menus, and detailed shopping lists.